If you suffer from tummy issues such as IBS or dealing with bloating, indigestion or constipation, yoga may be a wholesome and peaceful way to assist in keeping your digestive health on track. New studies have shown that moderate exercise combined with a diet high in protein can not only increase the diversity of bacteria in the digestive tract but can also boost the immune system. Pair this with the physical practice of yoga to encourage and inspire positive and healthy changes within the body. Gentle yoga can be a wonderful tool to assist in digestion (remembering to always to go at your own personal pace). Increasing the flexibility in hamstrings through to the spine. This pose is calming and cooling to the mind. It can assist in improving digestion, sometimes relieving constipation. Massaging to the abdominal muscles by compressing the colon in a certain way (right to left) which can aid in stimulating digestion. Twists can stimulate movement of toxins that can sometimes accumulate in the body. As this pose compresses the abdomen in a gentle manner, it can feel very soothing and relaxing. A very simple pose but also super relaxing as it can massage both the ascending and descending colon. The darling of the yoga poses! A pose for healing and relaxation which aids in your parasympathetic nervous system to engage in “rest and digest”. Kirsty Wirth of Kultured Wellness (also called the Gut Guru) has worked in the area of gut health for over 15 years providing life changing advice for many of her clients. She also recommends “getting mindful” in approach to gut health (check out her post HERE) which includes incorporating meditation and yoga and daily mindfulness practices along with healthy and nourishing protocols for gut healing. We were lucky enough to chat with Kirsty last month on A Live Yogi on all thing’s fermentation and gut health! 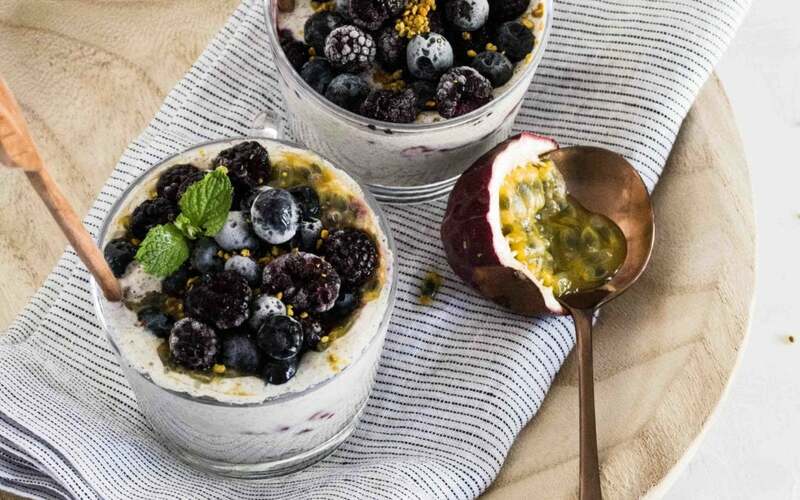 See a sneak peak of the interview where Kirsty whips up some gut healthy blueberry yoghurt! So, there you have it, gut health and yoga, calming both the mind and body for optimal health and wellness. Not currently a member, we are offering a 30-Day Free Trial, just click HERE to sign up!